As taxpayers gather in celebration of American Independence, ATR compiled a brief fact sheet on the federal government and the economy. How many hours did individual taxpayers spend complying with income tax laws in 2009? Individual taxpayers alone spent an estimated 3.8 billion hours complying with various tax laws. This is up from 3.6 billion in 2008. What is the origin of the Internal Revenue Service (IRS)? The IRS dates back to President Lincoln when he created the position of commissioner of the Internal Revenue and enacted an income tax during the Civil War. The income tax was repealed ten years later. When was the U.S. Constitution amended to include the 16th Amendment? Wyoming ratified the 16th Amendment in 1913 providing the necessary majority of states to amend the Constitution. 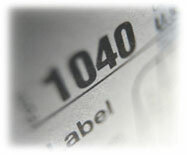 The first form 1040 appeared the same year. When is the Cost of Government Day (COGD)? In 2001, Americans finished paying off their share of the total cost of government on July 5th. Due to bailouts, the Stimulus Package, and President Obama’s budget, Americans will finish paying off their share of the cost of government somewhere between August 9 and August 19th. To read more about COGD, visit ATR’s Center for Fiscal Accountability. How much more has President Obama increased spending over other Presidents? The 40 year average for federal spending as a percentage of GDP is 20.7%. Looking at President Obama’s budget, federal spending will account for 28.7% of GDP this year. Are there any new taxes in President Obama’s proposed budget? President Obama’s Budget contains over $1 trillion in tax increases. How much would President Obama’s Cap and Trade tax cost Americans? It would cost each American family up to $3,100 in new energy taxes a year. How many members of the U.S. House of Representatives have signed the Taxpayer Protection Pledge? How many U.S. Senators? 172 members of the U.S. House and 34 members of the U.S. Senate have signed the Pledge never to raise income taxes. How many state legislators have signed the Taxpayer Protection Pledge? There are 1,113 Pledge signers on the state level. Number of members of Congress who read the stimulus bill before voting for it: Zero. Number of Members of the House who read the “cap-and-trade” bill before voting for it: Zero. Have Congressional leaders committed to providing taxpayers with more time to read the health care reform bill? Not according to Speaker Pelosi.